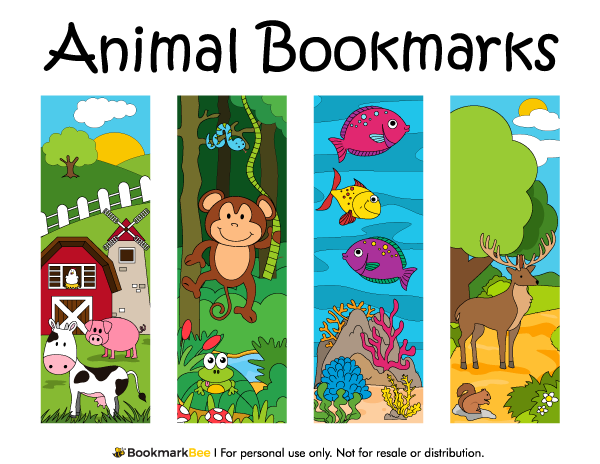 Animal-themed bookmarks featuring animals from four different places: a farm, the forest, a rainforest, and the ocean. The animals include a cow, monky, squirrel, and more. Download a free version of this bookmark below. Note that the free version includes a watermark on each bookmark, but we do offer a bundle of all bookmarks without the watermark.